JASON ENYGMA is a Top Modern Magician. 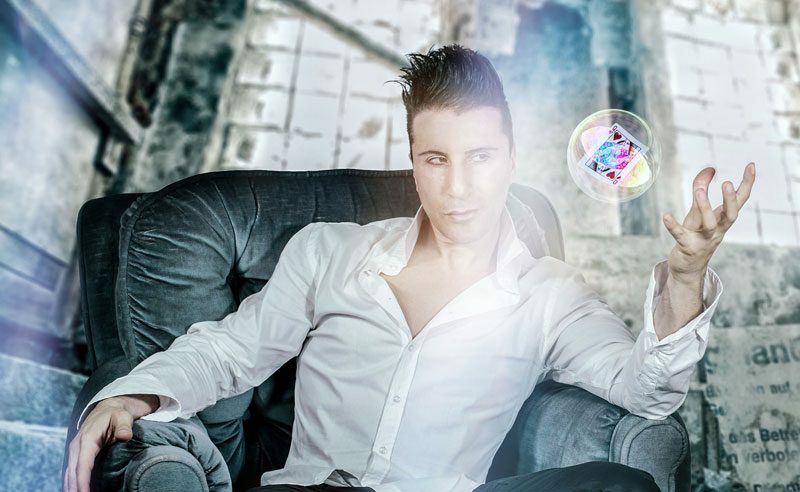 Forget the idea of the classic magician, he is the opposite! 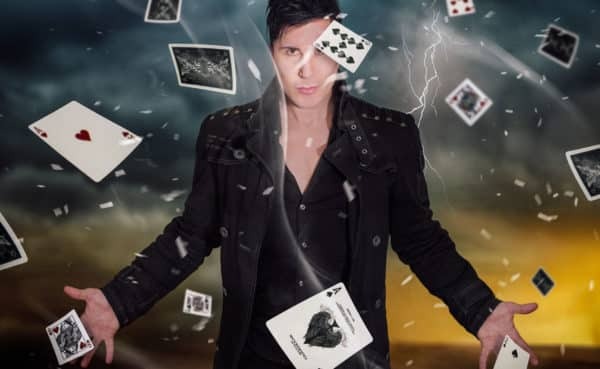 Graduated from the WORLD MAGIC ACADEMY which later became SILVAN MAGIC ACADEMY, he has deepened the study of magic at the MAGIC AND MYSTERY SCHOOL in Las Vegas. Sympathetic, Brilliant, Enigmatic, Creative. At close range he is able to completely overturn the laws of nature: objects vanish or appear in the spectators hands, drawings that come to life, playing cards that pass visibly across the table or the body, knives crossing the clothes without cutting, Hypnotics effects, thoughts of the spectators that materialize before their eyes and much more……On stage he is able to capture and hold people’s attention, and thanks to his Dynamic and Magnetic personality viewers are drawn into a whirlwind of fun and amazement. Thanks to his mastery of the English language he alternates between Italy and the US, performing every year in more than 250 LIVE SHOW, including: Luxury Weddings, Luxury Events , Casino, Private Parties , Theaters and Conventions for the Largest National and International Companies. Are you interested in Our Artists?